Same Day Carpet Cleaning provides a new life to your used and dirty carpets. Doesn't matter how messy they are we will wash them and make them look clean and fresh for sure. Our specialist renders you carpet dry cleaning, steam carpet cleaning, Carpet Cleaning Canberra, Domestic Carpet Cleaning Services and more. Call us and get the best carpet cleaning services in Canberra now! 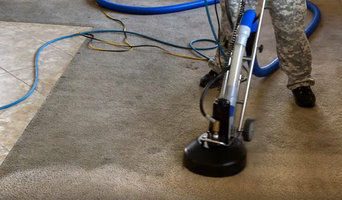 You can contact us online or Call us on 1800660487 to get your carpets cleaned by professional carpet cleaners in Canberra at the cheapest prices. Your Canberra home cinema could soon transform into a media room that fulfils many functions. Some elements - like hidden cabling, concealed televisions and speakers - can be expensive, while home theatre designers have other little tricks that are much more affordable. Invest your money wisely and you could have a cosy entertainment room in your Canberra, Australian Capital Territory home fit for a binge-sitting of Game of Thrones series as much as a perfect sporting finals experience. From seating and decor to your choice of amplifier, speakers and cables, any experienced home cinema specialist can help your dream home theatre take shape. Where is the optimal seating position? Will any old couch work as seating? What kind of lighting is best for movie marathons? Some of these Australian Capital Territory professionals work entirely on their own, while others work with subcontractors to get the job done. Here are some related professionals and vendors to complement the work of home automation & home media: Building Project Managers, Interior Designers & Decorators, Paint & Wall Covering Dealers, Furniture & Accessories, Specialty Contractors. Find a home theatre designer or home automation specialist on Houzz. Narrow your search in the Professionals section of the website to Canberra, Australian Capital Territory home media designers. You can also look through Canberra, Australian Capital Territory photos by style to find a room you like, then contact the professional who designed it.